Are you feeling a bit blah about your living spaces? Do you feel like your home needs a style boost (or overhaul)? Sometimes all it takes is a simple change of color or a statement painting to make your home feel updated and on trend. 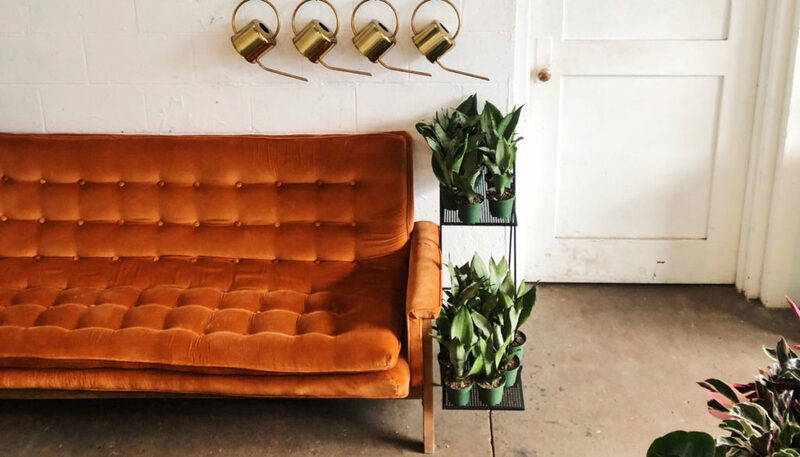 If you are looking for inspiration, we have compiled some of our favorite home décor trends of 2018. Sticking to a single-color tone for a room can create an edgy modern look. Try painting your walls and trim the same color, and painting a dresser or end table in a darker shade. Or you can go all out with a wall color that matches your furniture and fixtures as in the image. 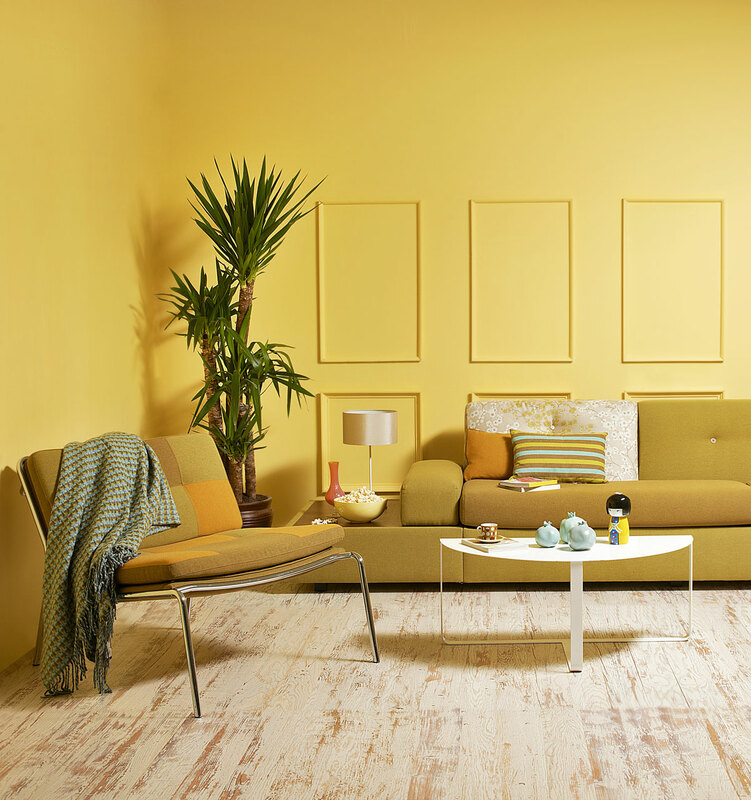 The image also features mustard yellow, which is having a moment this year for good reason: the muted shade instantly adds warmth to any room. 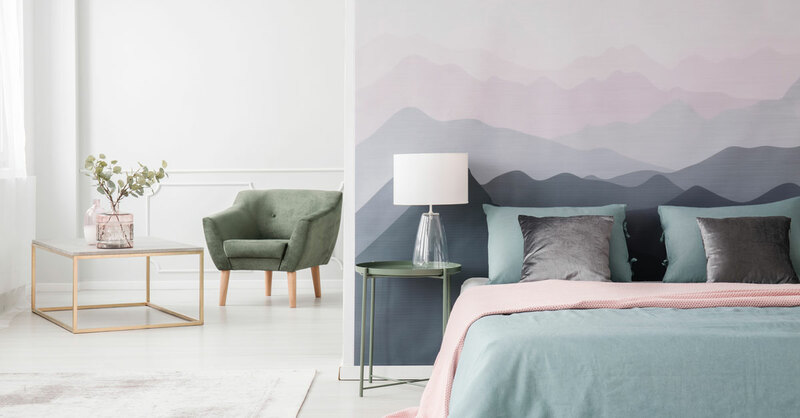 Wallpaper is making a comeback in a big way. 2018 has seen more creative and innovative uses of wallpaper as feature walls and large-scale wall decoration. It can be a great way to add color and interest to your home with fairly minimal commitment. Sites like hygge & west have hundreds of beautiful wallpapers, including many options for removable wallpaper tiles. There are also a lot of great, budget-friendly options at places like Target. 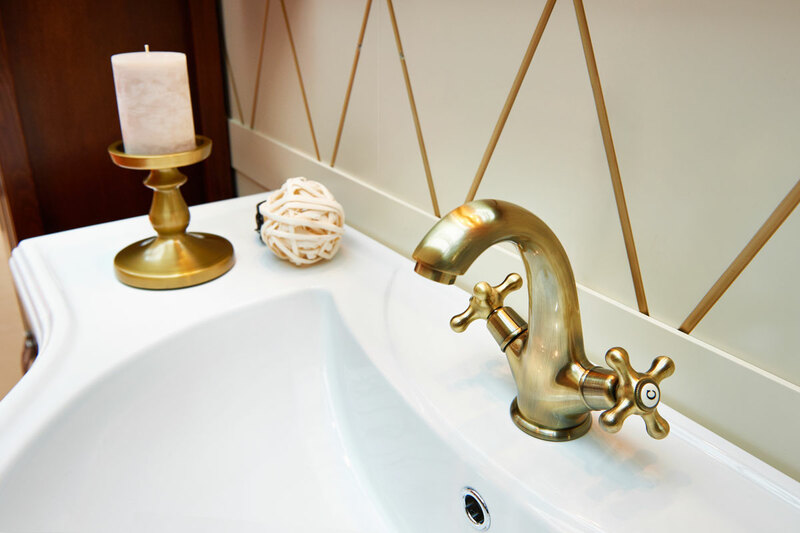 Bathroom and kitchen fixtures are trending away from the stainless steel and brushed nickel that we have seen, and leaning towards warm subtle brass and copper fixtures. 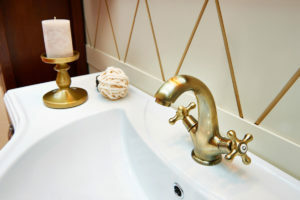 You can add natural metals in other rooms as well! Copper accent chairs like these from Hutch would make a big statement in your living or dining room. 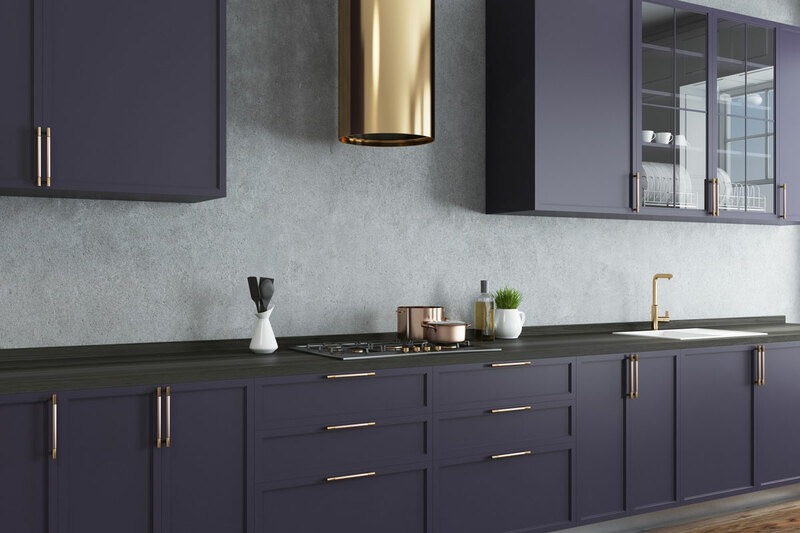 These metals are part of the overall trend of using more natural materials like concrete, stone, wood and woven textures. Speaking of woven textures, that is the next trend we are loving! 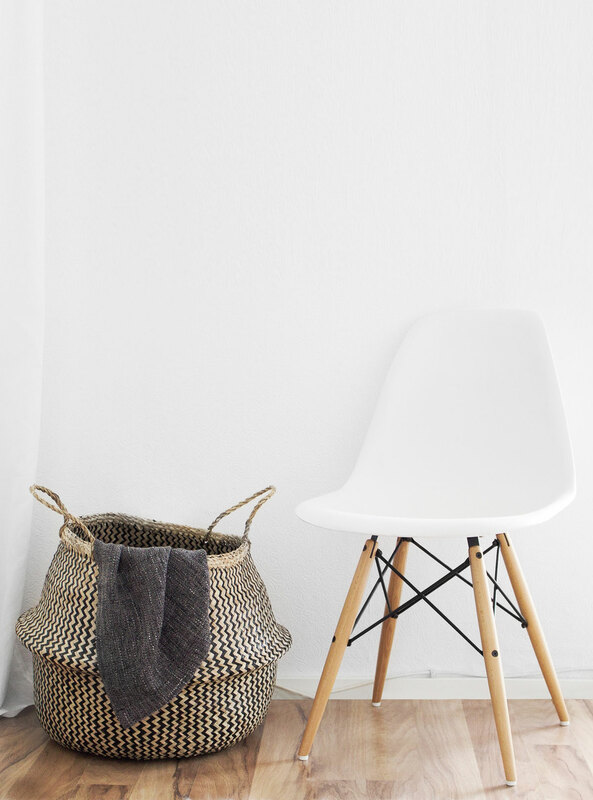 From baskets to rattan chairs, woven elements add a casual boho cool to any room. There are many ways to incorporate this into your home. Something as simple as a rattan tray or small baskets will give that warmth and interest, or try out a wicker storage ottoman like this one from Urban Outfitters. The trendy look for walls has long been the eclectic gallery, however the new hot way to spice up your walls is with an oversized painting. 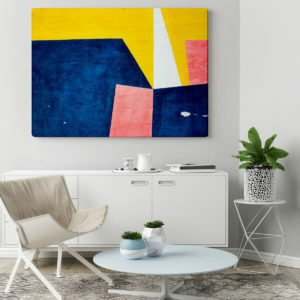 Look for local artists in your area that you can patronize or buy a big canvas and make your own abstract masterpiece! Try this DIY gold leaf painting tutorial here. Nothing says luxury and comfort quite like velvet. Velvet furniture continues to be a hot trend in 2018. As opposed to the stuffy velvet of old, new technology in fabric production has made velvet furniture more stain resistant and easy to care for (as well as more affordable!). Ease into the velvet lifestyle with a few throw pillows such as these from Target Or go big with a beautiful velvet couch like this curved sectional from Anthropologie. Hutch: Amazing mid-century modern furniture, local artisan goods and FREE in-home design consultations! 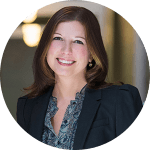 Birdhouse Interiors: a boutique design firm offering full-service residential interior design services and creative direction for commercial projects. Voila! : Their accessories and floral shop in Dundee can help you with your floral, decorating and accessorizing needs and ideas. If it turns out your problem is not in your décor, but in the house itself, WE can help with that! Call us today if you are ready for a big change!